Ladies, I know it’s Monday and it can be difficult to get excited over anything except the thought of the end of the day. Well, that is about to change! This Monday Motivator is gonna change your life. Seriously, it’s gonna change your life. Do you dream of a day that after wearing your hair up all day and you let your hair down, there is no kink, no snags, no battles with that last hair entangled in the elastic? The gem I am about to introduce you to makes this dream a reality. Let me introduce you to …. The invisibobble was created for all hair types, from fine to thick, curly to straight. You can wear your hair up all day in a ponytail and when you let your hair down after a long day at work or with the kiddies, no one would ever know you sported your pony all day since there are no elastic kink marks or “hair dents” as I like to call them. The invisibobble places uneven pressure around your ponytail = no kink. The uneven pressure also delivers a strong hold without being too tight. The smooth surface of the invisibobble is a frictionless surface that doesn’t entangle your hair as easily as regular hair ties. Smooth surface = allows for less chances of snags, snaps or split ends. 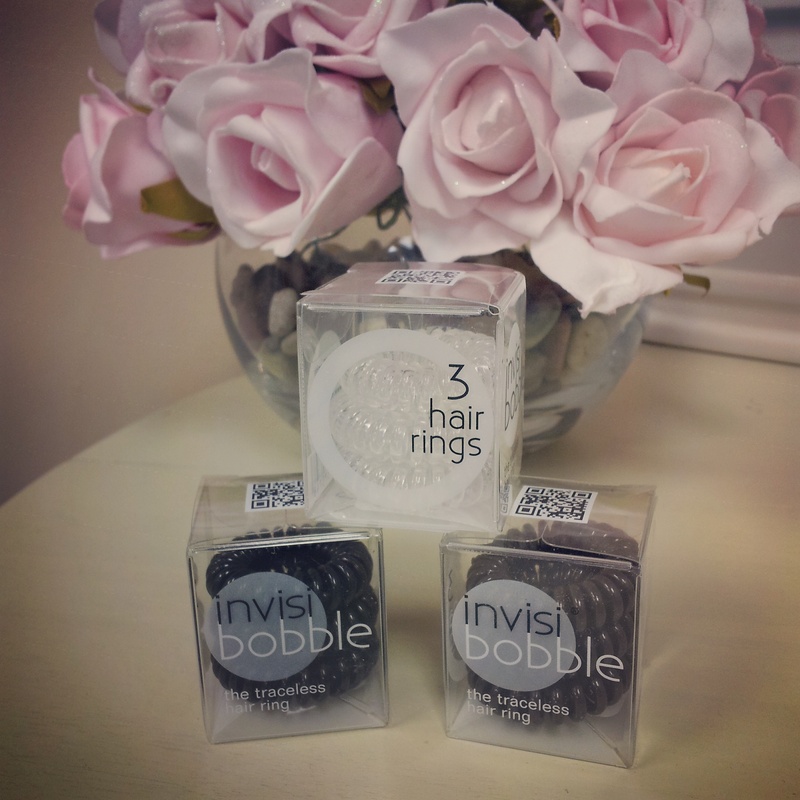 Another perk to the invisibobble – no headaches! Yup! The uneven surface grabs hold of your hair without pulling at your hair…no more tears or winces when those fine hairs at the nape of your neck are pulled. No more whispers around the water cooler or playground wondering if you had an eyelift because your hair elastic is too tight. The invisibobble is perfect for the gym – the artificial resin that makes up the surface of the invisibobble prevents bacteria from entering the bobble – a perfect hair tie solution for those with allergies or neuro dermatitis. The invisibobble is perfect for the beach or the kiddies swim lesson because it doesn’t absorb water, won’t wear out and can be taken out of wet hair with ease.